Snowed in? No problem! The SFSN Story Bundle is here! Every once in awhile some awesome comes my way, and this month was no exception. 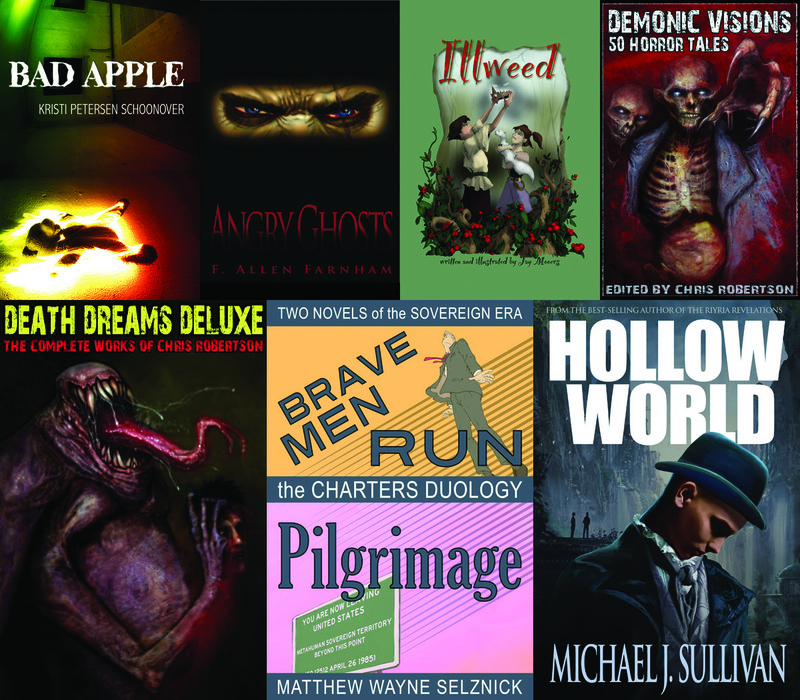 Bad Apple was selected to appear in the SciFi Saturday Night Story Bundle. What’s story bundle? In a nutshell, it’s pay what you want for a group of five to seven e-books (what’s even cooler is it includes Michael J. Sullivan’s Hollow World!!). It’s live now – but only for a limited time; it’s gone forever on February 17! More info is below; don’t miss out on this opportunity to get seven great e-books: For very little dough, entertainment in the snow (groan)! To get your set from now through Feb. 17, click here: http://storybundle.com/main. During our tenure talking to really cool people, we’ve encountered many new and innovative business models, and one of our greatest missions is supporting and promoting them in any and every way we can. Which brings us to StoryBundle! Every author in this bundle we have either had on the show, or know personally from our travels. While we can’t guarantee you’ll like every selection – our taste is by definition eclectic – we’re fairly certain you’ll find a new favorite in this collection. Don’t forget to click on each book cover to see a description, reviews, a preview, and a note from the curators on why they chose the book to be in this bundle! Posted on February 5, 2014, in Bad Apple, News and tagged Angry Ghosts, Chris Robertson, Death Dreams Deluxe, Demonic Visions Chris Robertson, F. Allen Farnham, Hollow World, lists of speculative fiction books, Matthew Wayne Selznick, Michael J. Sullivan, science fiction podcasts, SciFi Saturday Night, Story Bundle, The Charters Duology. Bookmark the permalink. Leave a comment.